The Diamond Business Centre (DBC) offers high quality Serviced Offices situated in the most prestigious location in Dubai and the perfect address for any business. Located in DMCC Free Zone, companies also have the benefit of 0% corporate and personal income tax rates and 100% foreign business ownership guaranteed for 50 years. The Diamond Business Centre (DBC) provides the premier solution to clients looking for fully ready to go serviced offices. 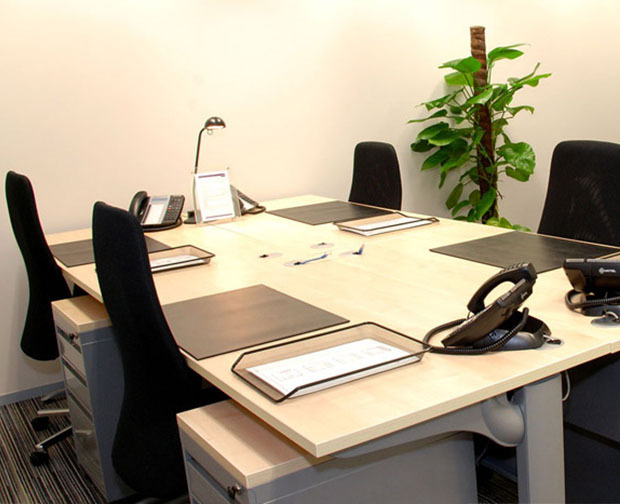 With a modern and high-tech feel the Centre provides fully serviced offices that are each uniquely designed and professionally serviced to a high standard. Spacious bright office units are available in a range of sizes from 130 sq ft to over 300 sq ft. Each fully furnished to a high specification and all come with their own telephone lines and dedicated and personalized answering services. There is a choice of two floors of offices and meeting rooms with amazing views of the bustling Business district below as well as the gardens and lakes. DBC is just a short walk from the metro station and has parking both underground and surface level. DBC offer attractive business packages to enhance the smooth running of any business and have professionally trained staff to cater for all every day business activities. Once a company is sign up, they just have to open their laptop and start doing business from the comfort of their office. Everything a company needs is included with no hidden costs and fees can be paid in installments. DBC provides a comprehensive Dubai business incorporation service for those clients looking for advice on new company formation. Flexible business packages can be tailored to any specific business requirements, whether it’s for a full business set up service or if it’s just to lease office space or a meeting rooms or just a phone line and answering service. DBC also can provide landline numbers that will be answered by the dedicated experienced team using a specified company name.